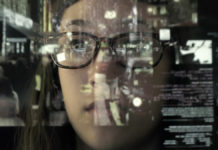 When IT executives are planning investments in new platforms, it’s common for them to turn to industry experts and analysts to provide context and explore perspectives. There’s a lot of choice out there. 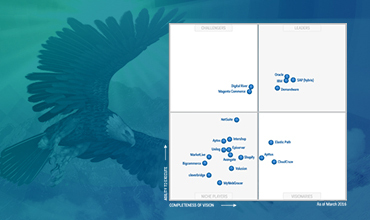 That’s why I’m very pleased that Gartner’s latest flagship report on e-commerce, the Magic Quadrant, has positioned Elastic Path as Visionary. For those not initiated, the Gartner Magic Quadrant is the go-to resource for an objective perspective on technology and service markets. It’s the Super Bowl of analyst reports on commerce. It provides a graphical competitive positioning of technology providers, in markets where growth is high and provider differentiation is distinct. I believe that what makes this new report of particular importance is not only Elastic Path’s very strong position as a visionary commerce provider, but that it reflects what’s happening in the industry today. 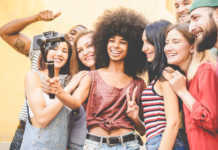 Faced with stiff competition, brands are seeking to differentiate themselves by providing highly unique digital experiences to their customers. 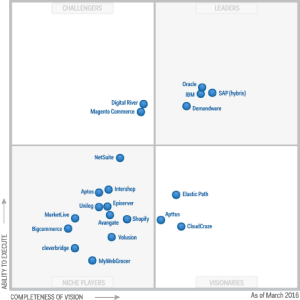 “A change is underway that shifts vendors’ focus from commercial shopping and purchasing transactions, to engagement with customers in ways that provide unique and optimized customer experiences,” notes Gartner, Inc. in Magic Quadrant for Digital Commerce, March 9, 2016. Brands today are faced with an unprecedented pace of changing purchasing behaviors. Consumers simply expect more out of their shopping experiences, and expectations are very high. 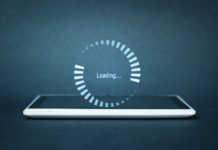 So too are the expectations of IT and business executives at companies looking to build digital experience platforms. 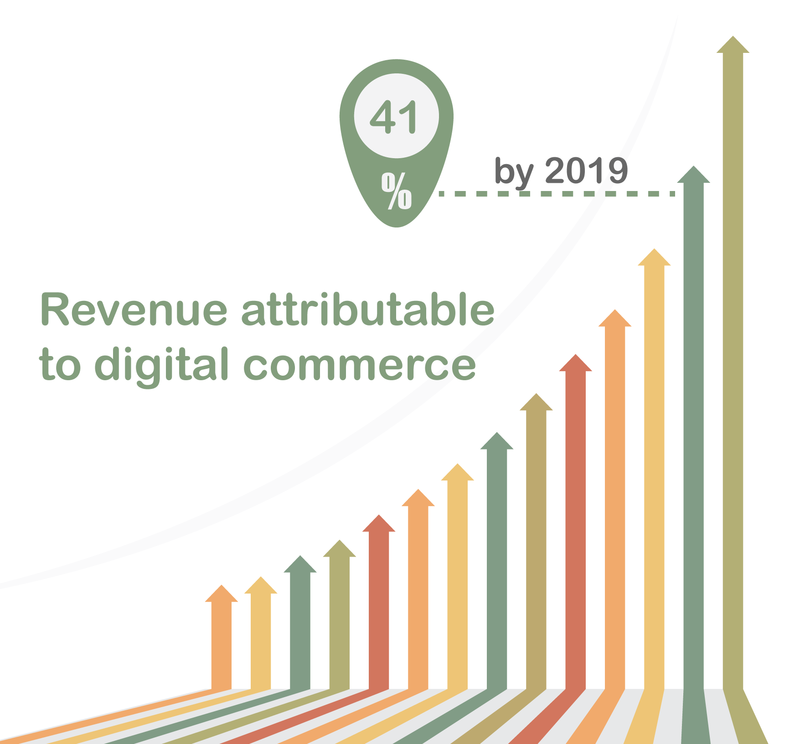 The Gartner report found that the percentage of revenue mostly attributable to digital commerce in organizations is expected to be 41% by 2019. That’s an increase from the 31% expected this year. Executives are quickly coming to realize that their business is a digital business regardless of what they sell. Getting to that transformational moment takes a team. 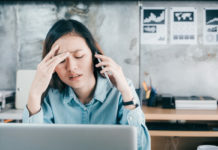 Not only must companies deploy internal resources and org structures to support the digital business internally, they must also deploy a team of technologies. Gartner and other analysts refer to this team approach to technology as a best-of-breed strategy. It’s a strategy more companies are turning to in an effort to deliver a holistic digital experience. 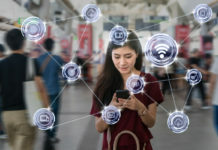 Gartner’s report, which you can read free at http://www.elasticpath.com/gartner-magic-quadrant-ecommerce, predicts that by 2018, more than 50% of commerce sites will integrate technologies from more than 15 vendors to deliver a digital customer experience. 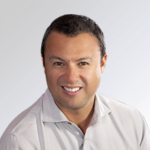 This important trend is why Elastic Path has always leveraged a best-of-breed approach to delivering highly unique digital experiences. 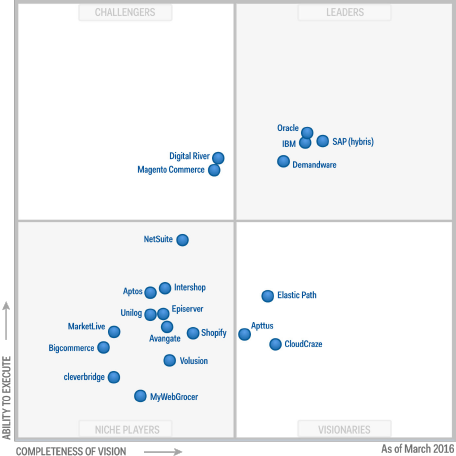 Elastic Path Named ‘Visionary’ in Magic Quadrant for Digital Commerce, March 9, 2016. Elastic Path’s partnership with Adobe is proof of this. Our software engineers are working in close collaboration with Adobe’s programmers to deliver a commerce integration with Adobe Marketing Cloud that’s unmatched. 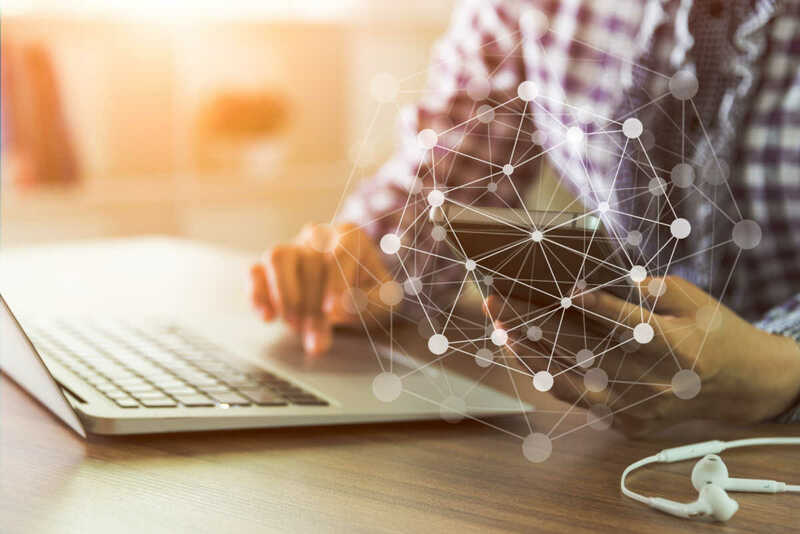 Elastic Path provides extremely flexible commerce capability, while Adobe and our other partners build out the content layers necessary for marketers to deliver websites, mobile apps, and customer-facing “touchpoints”. By working with partners in this way, we’re much stronger together. 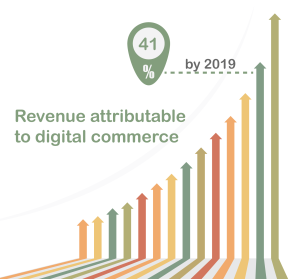 There is a lot of change on the horizon for digital commerce in 2016 and beyond. Being ready will be pivotal to your organization. I invite you to read the Gartner Magic Quadrant free at http://www.elasticpath.com/gartner-magic-quadrant-ecommerce, and let me know if you have questions. 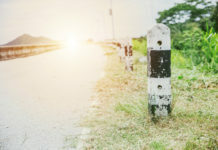 Next articleEnterprise Content Management: How Does AEM Stack Up?